ORLANDO, Fla. - President Donald Trump’s nominee to fill a U.S. Supreme Court vacancy played a key role in SeaWorld’s legal battle with the Occupational Safety and Health Administration following the death of a killer whale trainer. Brett Kavanaugh, a circuit judge of the U.S. Court of Appeals for the D.C. Circuit, has been nominated by the president to replace retiring Supreme Court Justice Anthony Kennedy. 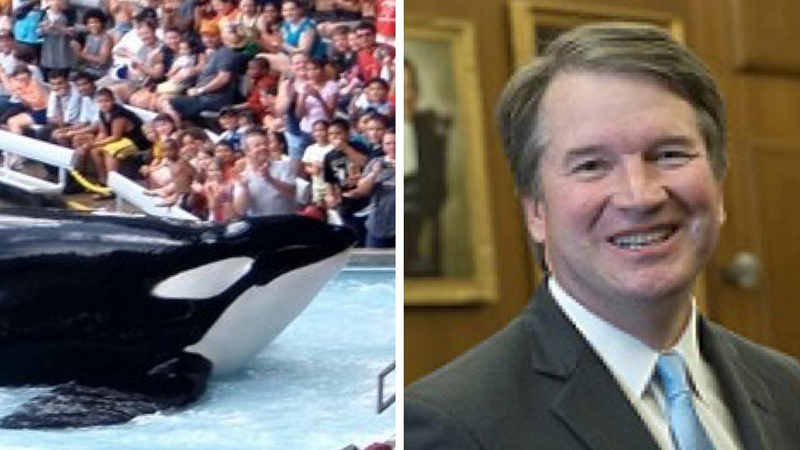 Kavanaugh was one of three judges who considered SeaWorld’s appeal of citations issued by OSHA following the death of trainer Dawn Brancheau in 2010. A killer whale named Tilikum drowned and dismembered Brancheau following a performance at the company’s Orlando theme park. After an administrative law judge upheld a $70,000 fine for a “willful” violation of OSHA workplace safety regulations, SeaWorld appealed the citation to the U.S. Court of Appeals for the D.C. Circuit. Kavanaugh, along with Chief Judge Merrick Garland and Circuit Judge Judith Rogers, were asked to decide whether the U.S. Department of Labor had the authority to regulate how SeaWorld safeguards its killer whale trainers. In a 2-1 opinion upholding the OSHA fine, Garland and Rogers suggested SeaWorld should have done more to protect its employees from known workplace hazards. “There was substantial record evidence that SeaWorld recognized its precautions were inadequate to prevent serious bodily harm or even death to its trainers and that the residual hazard was preventable,” Rogers wrote in the 2014 majority opinion. Kavanaugh, in a dissenting opinion, argued that killer whale trainers were no different than professional athletes, race car drivers or others who willingly participate in risky jobs. Kavanaugh is not the only participant in SeaWorld’s litigation against OSHA to be considered for the U.S. Supreme Court. Throughout the company’s appeal, SeaWorld was represented by attorney Eugene Scalia, the son of late Supreme Court Justice Antonin Scalia. Following Justice Scalia’s death in 2016, President Barack Obama nominated Garland, Kavanaugh’s fellow appeals court judge on the SeaWorld case, to fill the vacancy. The Republican-controlled Senate refused to hold confirmation hearings or vote on any Supreme Court nominee until Obama’s successor was elected. In 2017, Neil Gorsuch, Trump’s nominee, was sworn in as Scalia’s replacement on the Supreme Court.